There is a stark, realistic charm to director Jeff Nichols Mud. 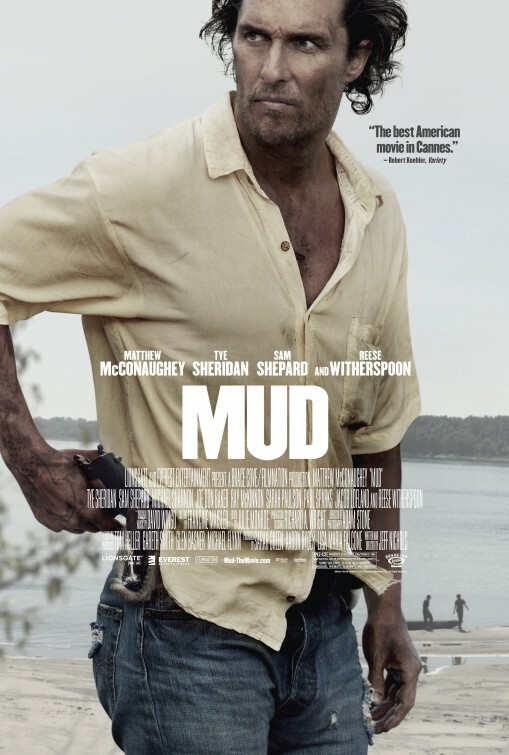 Where his other movies like Take Shelter and Midnight Special had an almost supernatural feel to them, Mud grounds itself in the harsh realities of life in America’s deep south, seen through the eyes of two young boys looking for adventure. The two young boys are Tye Sheridan’s Ellis and Jacob Lofland’s Neckbone. The normality with which these kids play their part is startling, both being very natural and giving great performances, particularly against a great actor like Matthew McConaughey, at this point beginning his career renaissance. What is then required is the two young boys to act as go-betweens, thieves and problem-solvers as they help McConaughey’s Mud get in touch with girlfriend-in-trouble Reese Witherspoon. It means the pair coming up against lots of different obstacles, from gangsters, family and their own lives, all tackled with great success by the two young actors, particularly Sheridan. The story itself is a good one, keeping decent pace and offering plenty of twists along the way. This is in no small part to the mysterious character of Mud. McConaughey has been so reliable in roles like this that it is strange to think of him as a romantic-comedy star too but here he brings his classic southern charm to the outlaw character, managing to help you forget that his role in the whole story has some shady aspects. For the casual viewer, this is a film about a love story, the law and two kids in over their heads but Nichols also adds some commentary on the simple lives of people and how big Government is getting in the way. It doesn’t always resonate but there are great moments and poignant scenes which do try to deliver the message. When this isn’t Nichols motivation, Mud is still a very entertaining movie, with plenty of action, some comedy and great performances to watch out for which help keep the audience invested. There are moments in the story which are quite clearly signposted but they are easy to overlook when the characters are this likable. Overall, Mud is another success for director Nichols. The two young actors are great, particularly in a movie which features heavyweights like McConaughey and Witherspoon. Sheridan steals the film, putting in a mature performance within a story that will keep people engaged and interested while it attempts to deliver some commentary on the old American way of life. This review has given me the push to see the film. It’s been on my watch list for ages but I never got around to it. It is well worth it. A lot of good performances. It’s very high on my movies to see list.